The Thunder Pro is back and better than ever. The original Bersa® Thunder Pro was a hit with military and law enforcement in Argentina, offering the legendary reliability of the Thunder 380 and a higher capacity frame. Now, the Thunder Pro is back and better than ever as the TPR9, which features a smoother, lighter trigger and a number or ergonomic improvements. The single-action pull is lighter than before, and the reset has been shortened to just about the shortest we've ever seen on a production semi-auto. Reset is audible and tactile. The grips are slimmer than the old Thunder Pro, giving you better access to the controls—especially if you have smaller hands. Additionally, the slide has been reworked to provide better clearance. At its core, it still boasts all the reliability of the Thunder Pro. Thanks to a Browning Petter barrel locking system, it feeds and ejects with absolute reliability. The thumb safety also works as a decocker, so you can carry a round in the chamber safely with confidence. As a nice bonus, the thumb safety, slide release and mag release are all ambidextrous, so it's leftie-friendly too. And take-down is still just about the easiest there is. 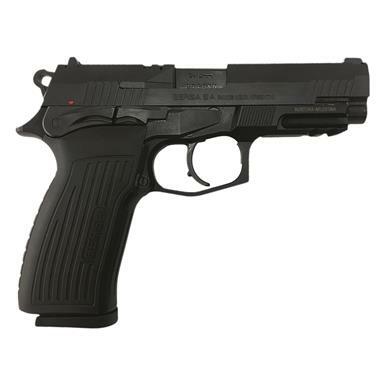 Bersa TPR9, Semi-Automatic, 9mm, 4.25 Barrel, 17+1 Rounds is rated 5.0 out of 5 by 2. Rated 5 out of 5 by Revolver Lover from Awesome hammer fire DA/SA pistol I prefer hammer fire semi auto pistols over striker fire. This has to be the best budget full size DA/SA out there. Feels good in hand and shoots straight. Definitely worth the money. Rated 5 out of 5 by Jon D from Blown away My 2nd wondernine, this pistol becaume a fast first in my heart. I got into shooting with Beretta, but discovered quickly that no matter what I did the PX4, FS92 and their other offerings just didn't fit my hands. They're a great manufacture, but the "shoe didn't fit". After dozens of rental trials, and walking the floor at shows to try to figure out a better alternative I found my way to Bersa. Sure, I thought, it fits my hand, but where's the reputation to back it up? This is a less expensive brand, and less well known in the U.S. than the likes of Sig, Beretta, S&W/M&P, Glock, Springfield, Colt, or even CZ, Taurus, H&K or FN. But this pistol fit my hand really, REALLY well so I bit the bullet. Best decision I've ever made in my life as a shooter. 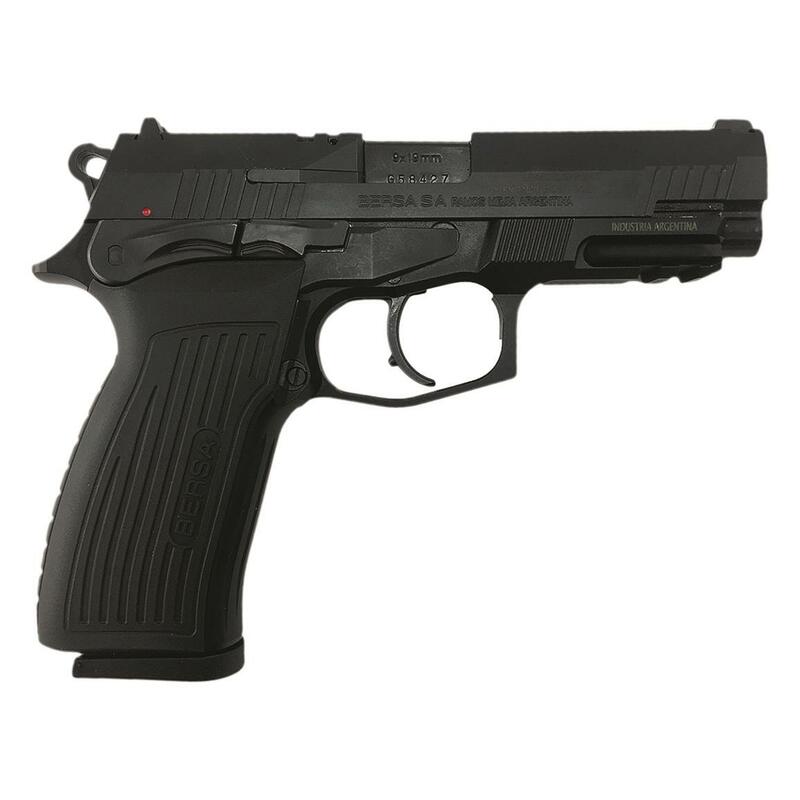 It's not just for the sake of national pride that Argentina has selected the TPR9 as their standard service pistol. Some might not care for the weight, but this is a full sized military grade pistol and it should have some heft to it. The construction is as solid as anything I ever encountered from Beretta, Sig, or CZ. Sights are great and are actually Sig sights significantly increasing after-market options should I ever want or need to replace them. Takedown and maintenance is very easy. The grip is comfortable. Trigger break is crisp, with no creep I can notice on reset. The safety/de-cocker is well designed for a low profile AND sturdy enough that there shouldn't be a concern about it accidentally flipping on (or off) during handling, holstering or draw. In 500+ rounds I've had no FTEs (even with some of the cheaper ammos I've used). Right out of the box I got some of the tightest shot patterns I've ever put into a target. TL;DR? That's fine, just make mine Bersa!